Discover details and finishings which are designed and created by Faoma. 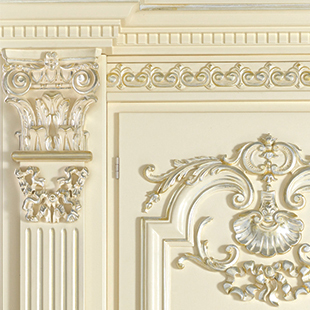 A luxury home in Italian classical style finds its ultimate expression in our friezes and lacquering. 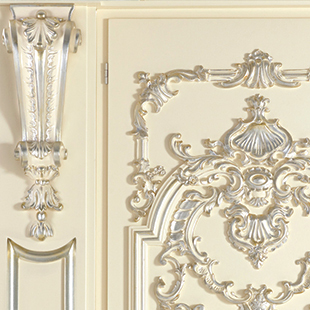 Select the style which best reflects your taste and find out how Faoma creates interiors featuring solid wood, hand-carved friezes and capitals, ivory lacquering, patinated finishings, gold or silver leaf decorations. 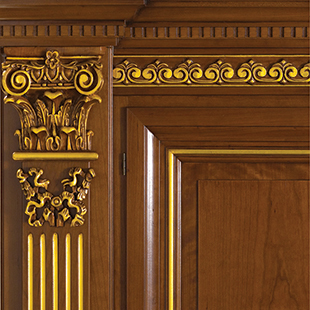 Italian craftsmanship applied to our luxury interior projects, where classicism is seamlessly combined with modernity and technology. 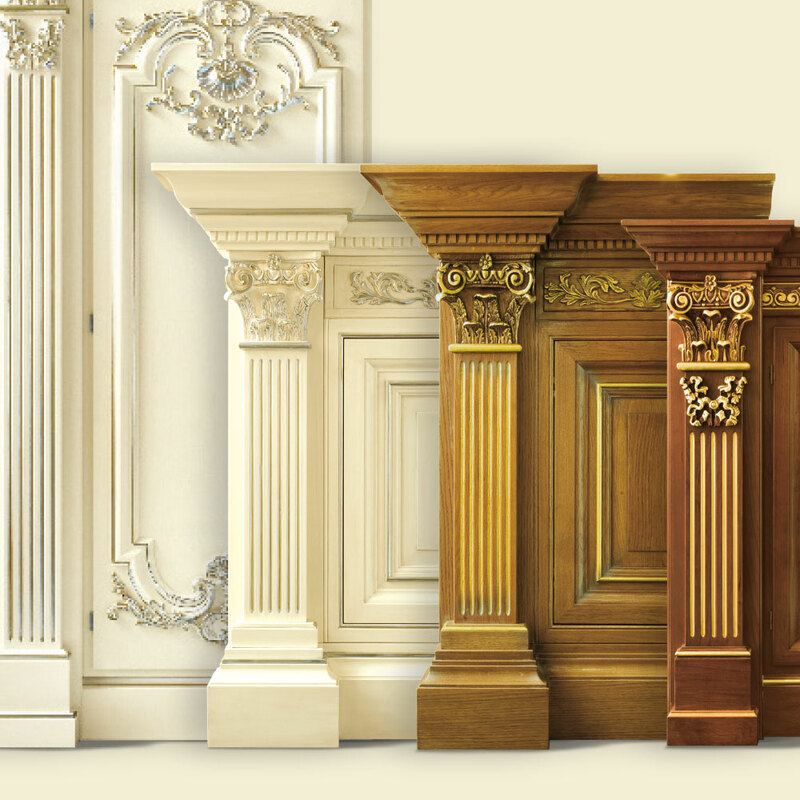 Solid wood hand carved friezes and capitals. Ivory brush lacquering. Silver foil and shellac decorations. 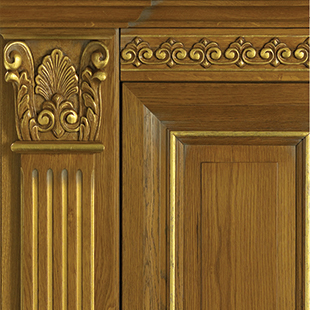 Solid oak hand carved friezes and capitals. Glazed antiqued finish with beeswax. Gold foil decorations. 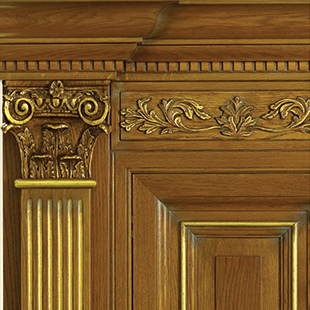 Solid cherry wood hand carved friezes and capitals. Glazed antiqued finish with beeswax. Gold foil decorations. Solid wood hand carved friezes and capitals. Gold foil decorations. 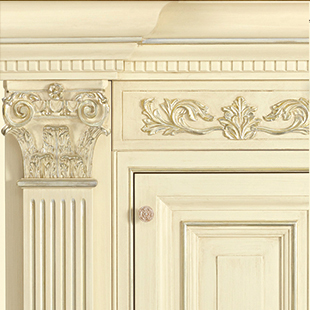 Solid wood hand carved friezes and capitals. Ivory brush lacquering. Silver foil and shellac decorations.